House fire in Union County. Original photo from the scene of CR 59 fire. 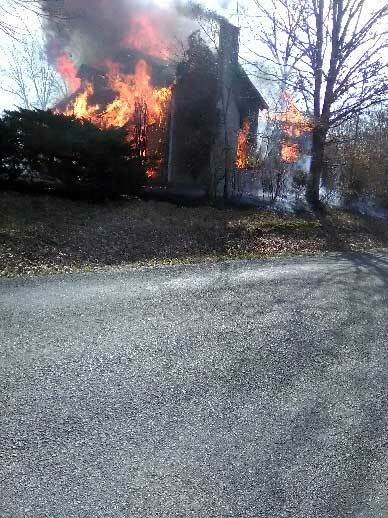 Union County Volunteer Fire Departments from West Union, Myrtle, and Pinedale are on the scene of a fully involved house fire on county road 59. The photo was taken at about noon on March 9th.